Learn how to land a great-fit executive job faster! — Martin Yate, author of the NY Times bestselling Knock ’em Dead series of career books – two featuring Meg as part of his “Braintrust” panel of experts. 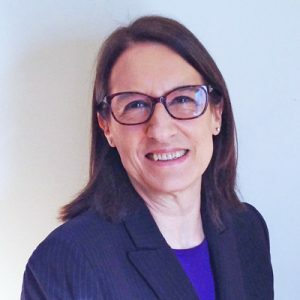 Having a hard time landing an executive job? Still think having a great resume and a few recruiters working for you is all you need? How’s your job search strategy working for you? Is the new world of job search unfamiliar territory and you just don’t know what to do first, what not to do, who to turn to for help or how to best invest your time and funds? You are not alone. Many of the executive job seekers I speak with are spinning their wheels because they don’t understand how to navigate today’s job search landscape. Things are not the way they were even a few years ago. What worked for you the last time you were in a job search, or transitioned to a new job, may not work this time. The rules have changed and, if you’re like most people suddenly thrown into job search, you’re still relying only on the old methods or only on the least effective new methods, and wondering why not much is happening. “Meg, your “23 Ways” ebook was as advertised – very practical but also very energizing! It’s given me a very useful framework for my job search strategy, and lots of great tips. I’m particularly excited about the things I can do to improve my online footprint. With more than 100 pages, 23 chapters and 3 bonus chapters, this ebook is packed with the how-to, actionable advice and resources you need to accelerate your search. Designed as a reference resource, you’ll come back to it often, as you move through the job search process. You’ll find samples of career documents I created for actual clients, so you can see how executive branding meets job search. “I positively love this! Not only is there a tremendous amount to be learned — and the truth is a lot of content like this is often easily found so this really steps up, I thought — but it’s written engagingly and well. Act now and get this ebook for FREE! A must-have supplement to “23 Ways”, “LinkedIn Secrets” contains many insider tactics to leverage LinkedIn to your best advantage. What’s in my “23 Ways” ebook? The colloquial chapter titles — or “23 Ways” — are things clients have actually said to me or asked me. 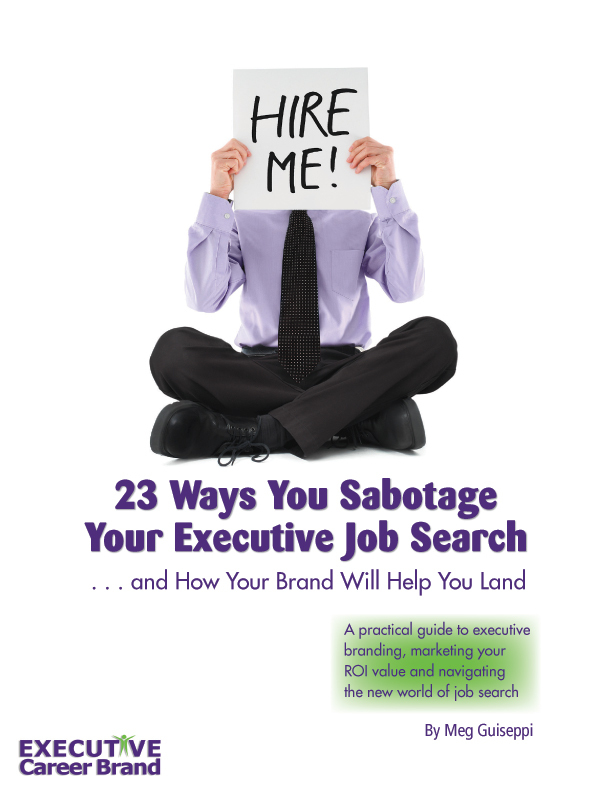 They represent the confusion and wrong-thinking that can sabotage and undermine a successful job search campaign. If you’re having problems like these, you need help getting on track. Need to know a little more before deciding whether this ebook is for you? You can read Chapter 1 here. get “LinkedIn Secrets” for FREE! 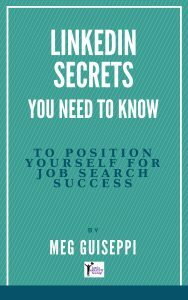 I am so sure my ebook will provide you with valuable tools, tips and resources to launch a successful job search and land a great-fit job, that I’ll refund your purchase, if it doesn’t meet your expectations. So, are you ready to learn how to define your executive brand, differentiate your ROI and land the job you deserve? Your order is placed through a secure server. Once your credit card payment is captured, you will automatically be presented with the download links for the two ebooks. You will also receive an email with a link to each download page, in case you didn’t download from the page you received right after checkout. No waiting for your ebooks to arrive by snail mail! Start reading and learning right away! The sooner you order, the sooner you can get your executive job search on track. Featured and quoted in Forbes, Huffington Post, Fast Company, Wall Street Journal’s FINS, Inc.com, Fortune, CMO.com, PBS’ Next Avenue, About.com, Examiner.com, and many other esteemed publications. Personal Branding Expert at job-hunt.org , rated “Best of the Web” for job search by Forbes, US News & World Report, and PC Magazine.